Puzzled about pine martens? Join us for a session covering pine marten biology, field signs and survey techniques. 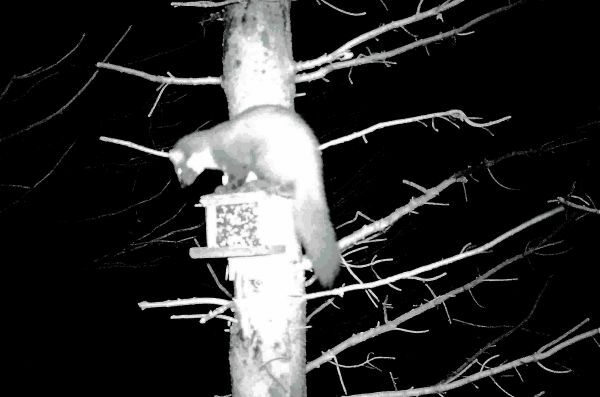 Find out how pine martens are doing in Redesdale and how you can get involved in surveying. Put your new knowledge into practise with a field trip to look for signs of pine martens. Please bring a packed lunch, suitable outdoor clothing and footwear. Booking is essential. This event is suitable for ages 14+. All persons under 18 must be accompanied by an adult. This is a joint Revitalising Redesdale Landscape Partnership and The Vincent Wildlife Trust’s Back from the Brink: Pine Marten Recovery Project in Northern England event and is supported by The National Lottery Heritage Fund. To find out more see: www.revitalisingredesdale.org.uk and www.vwt.org.uk/projects-all/back-from-the-brink/ or phone 0191 284 6884.